Atlas vigorously builds and maintains delivery partners who are experts in their fields. Domestically, we maintain close links with local training and equipment providers as well as specialists who possess the capabilities to deliver an unparelleled quality of training. We are proud to be partnered with the Elite Academy of Security Training based in the United Kingdom. The Elite Academy of Security training is a UK based training provider with a global reach, having associates and trainers in Africa, Asia, Australia, Europe and the USA. Their place in the UK as a Tier 1 security training provider is quantified by their licensing of over 300 other trainers and training companies to deliver the Elite methodology of training. Accredited by several British Awarding Organisations to deliver the Security Industry Authority (SIA), Health and Safety, Medical and Health care, Academic and social qualifications both in the United Kingdom and worldwide. Elite are principle training providers of the British Security Industry Association (BSIA), approved by the UK Register of Learning Providers & Skills Funding Agency register of training organisations thus meeting all of the due diligence requirements as a holder of ISO 9001 (UKAS). 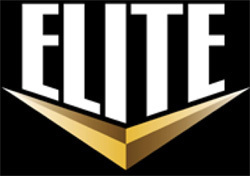 Elite can draw on its pool of experienced and qualified trainers to provide the client with the most appropriate training program to suit their needs, UK Special Forces, Police, Military, Government and security industry professionals from worldwide agencies are all part of the ELITE team dedicated to delivering training at the highest level. Elite staff have provided teaching in schools as part of a corporate and social responsibility offering basic skills in English and Mathematics as well as qualifications enabling young people to enter Further education and University. Working with the government, they provide train the trainer for service leavers to enable them to set up their won training business, this project also works with the National Health Service to provide trainers inside the service thus cutting costs and improving quality. In the Middle East, Elite have worked with and written training programs for governments and private organisations working in the Oil and Gas and safety related industry. Elite is a stable and secure company offering training and working in partnership with many associates, respected and established worldwide. Our partnership with Elite enables us to open previously unexplored avenues of training and career opportunities within the higher tier of security services which allow operatives to be deployed internationally - and the best part is that training is conducted locally in Malaysia to keep costs down. Legion Products, formed in 2010, supplies tactical gear as well as conducts rope rescue training and first aid training (St John Ambulance) for government agencies, businesses and Non-Governmental Organisations. They are also the sole distributor for Helikon-tex, Ghost International and SAR products in Malaysia and South East Asian surrounding countries. Legion also are a repeat supplier of equipment to shooters participating in the International Practical Shooting Confederation (IPSC) tournaments held in Malaysia.